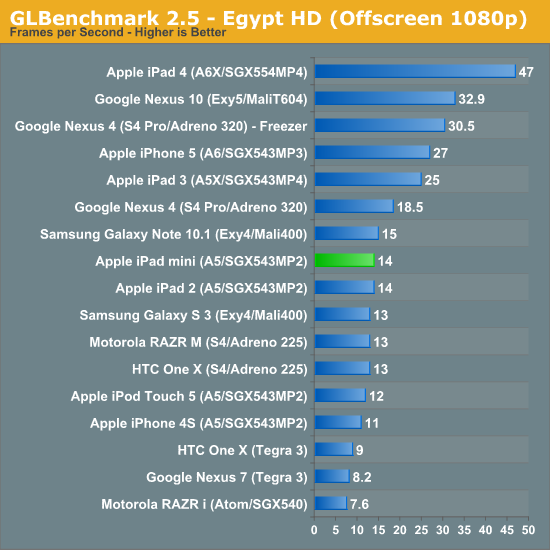 GPU performance isn't anywhere near "better than even the newest Android-running hardware." It's identical to Exynos 4412's Mali400 MP4 and the ubiquitous MSM8960's Adreno 225, and markedly behind Exynos 5's Mali 604T and APQ8064's Adreno 320. Unless you were forgetting to look at the "offscreen" results? because more RAM is free and takes up absolutely no space or battery power? What are you smoking? nexus 7 actually fit in all my pant's pocket, it has portability of a phone as far as i am concerned. nexus 7 has usb host mode which can access your usb device. 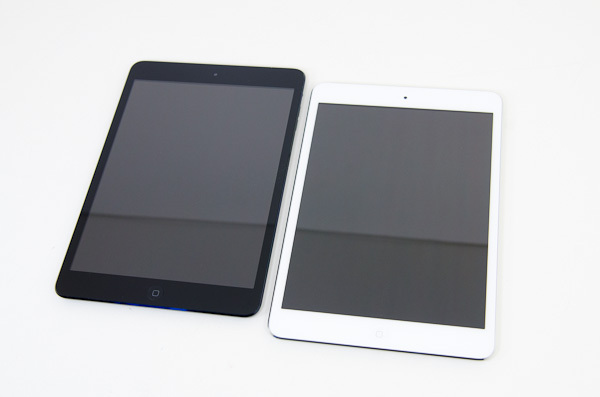 if i need to carry ipad mini in a bag, which i will have to, i might as well just get regular size ipad. also, could we please have a nexus 7 and ipad mini display at the same size at least?